Description: CELEBRATING THE VOICE 2018 will bring together several singers and actors on a stage to honor World Voice Day. Debuts its first edition this year and promises moments of great emotions and joys, as well as personal perceptions, stories of vocal overcoming, persistence and discipline. 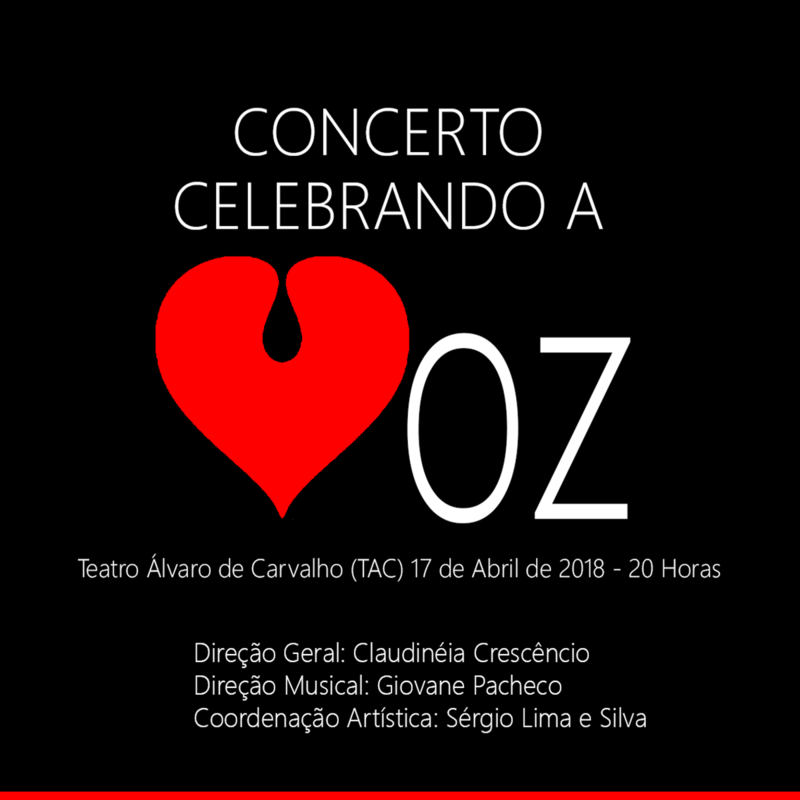 The Center for Music & Speech and Language Therapy Claudinéia Crescêncio, in partnership with Giovane Pacheco Musical Productions and Sergio Lima e Silva (artistic coordination), will promote an unprecedented concert, organized by Fonoaudiologist and Singer Claudinéia Crescêncio. 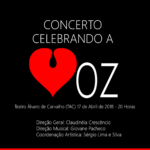 Singular and consecrated talents from the State of Santa Catarina / Brazil will participate in this concert. Performer/s: Rute Gebler, Claudia Todorov, Alicia Cupani, Elisabeth Faraco, Cris e Mell, Tony e Angela, João Rosa, Sonido Club (Anderson Tombini e Jeronimo Junior), Eddy e Janis, Guilherme Botelho, Misael Pacheco, Guilherme Cardozo, Hilton (do Estação Pop), Elzira Abdalla, Eugênio Menegaz, Fernando De Carli, Jéssica Daussen, Lucca Diniz, Duran, Suzan Mendes, Gladys Regina, Giovane Jr., Dyjonathan Pacheco e Claiton Luiz.